Our service level is unsurpassed by the competition in that we provide a consultative approach to helping all our web customers and prospective customers make informed decisions. Typically we have been told our consultative approach is valued since we take the time to help customers see how their websites can work at an optimized level for them - whether it be to optimize customer results, information or web presence. This leads to helping clients make more informed decisions on their website strategy and planning not only now, but for years to come. To make a synergistic website, we have to work together. Our consultative approach to project management allows us to implement tactics that are right the first time; and we help insure the information flow from the client to us vs vs helps our client's websites continuously improve over time. Put Marketing Launch Innovations to work on your eBusiness or Website project today! "We are a plumbing, heating & drains company in East York. 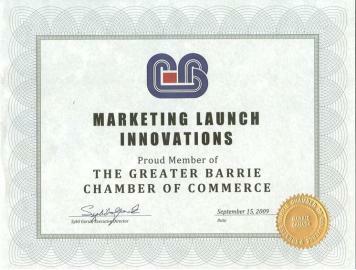 We hired Marketing Launch Innovations in 2009 and we have been a super happy client ever since. Dana at Marketing Launch Innovations is a extremely professional, innovative like the name, creative, open minded and trustworthy professional. Her work is bar none exceptional. Dana advertises as much or as little as you like. In the seasons where you require less she can turn it down. Dana is a wonderful individual to work with is always positive, receptive and in a contagiously happy. I would like to recommend Dana to whoever requires website optimization and marketing"
"I have been able to do more changes in the past year, just in the past week since I now have control over my website with the Joomla application"